And we want it this way. We want them to always have a foundation of family connection, but with the freedom to be their own person. We want our children to soar. Within moments, her “something” landed in my inbox. I wasn’t quite prepared for the emotions this “something” would stir. While we want our children to soar, it’s quite another thing when they do. With Adelyn’s permission, I’d love to invite you to enjoy the beauty of this daughter of mine as she spreads her wings. My name is Adelyn, and this summer I’m chasing Jesus to Santa Cruz, California. When I was a little girl, we had a bookshelf full of missionary biographies – Amy Carmichael, Jim Elliot, Lottie Moon, Hudson Taylor, the works. The copy on Lottie Moon was my favorite. Paperback copy bent and rippled from a nearly fatal swim in the creek, I loved that book. Lottie Moon grew up in a ministry-driven family and spent her childhood declaring she would never go into missions. She would stand in front of the mirror and list off all the things she was going to do that didn’t have to do with leaving her home, her safe place, her comfort zone. I think Lottie Moon was my favorite biography because I was her. I grew up in a family involved in ministry and lived a lifestyle very reminiscent of those involved with what is recognized as ‘missionary work’ – the fundraising and late bills and always praying and change after change. And I wanted nothing to do with any of it. I just wanted to be ‘normal.’ I didn’t want to have to worry about depending on other people for my living. I had no interest in intentionally pursuing a lifestyle of not knowing. For the rest of the story, click here. When you raise your children to soar … often, they do. Loss is part of this life. It just is. Sometimes grief overwhelms us and we have no choice but to go there. But sometimes, we bury our grief deep. And we just don’t deal with it. Or we inflict pain on those closest to us … or on ourselves. When Jerusalem fell, the people experienced horrific loss. Months of siege resulted in famine, starvation, and ultimately reduced mothers to cannibalism. When the wall was breached, those still alive were raped, brutalized, slaughtered. Those who were spared were marched more than 500 miles to Babylon. As Jeremiah watches this unfold, he stays close to God, but he also grieves. He sees God’s hand in this pain. He is honest with his loss. And yet he holds onto hope. What would it be like if instead of burying your pain, you brought it out to the open? What would be like if you could deal with it honestly, authentically? What would it be like if today you took some time to yourself, just for you? Stop burying the pain, or taking it out on others … or yourself. Like Jeremiah, write it out, all of it. And, if you can, recall what you know to be true about God, and hold onto it. Begin to deal with your pain by lamenting your loss. On the day we drove to meet Katya for the first time, we saw a double rainbow in the sky. As we drove from Charlottesville to D.C., these two rainbows almost danced around us. On this side of the road, and then that. Behind us, and then in front of us. A sign to me of healing, of hope. We didn’t know Katya then. We knew a bit about her history, but we didn’t know her. But when I held her for the first time, I knew I was holding my daughter. This hasn’t changed. And I still hold double rainbow hope. But these years have been hard. Life is challenging anyway, right? And when you choose hard things, life gets even more challenging. But there’s a grace, a tenderness, a compassion toward yourself and others that comes with it. Every time I think about the work we’re doing now with RiverCross, I am amazed. As we work to build bridges of healing, bridges of hope for the world’s most vulnerable children, I’m working to build this bridge right in my own home. I’m finding that RiverCross resonates with so many of us because we’ve experienced trauma in our own lives. We know the long road to healing. And we know that when the wounds close over, we still have scars. Even with all the resources at our disposal, we still have scars. And so our hearts go out to the men and women around the world who are caring for children who have been abused, exploited trafficked … We get it. We want to help them help the children. We want to help them find double rainbow hope. Right now, I’m building a Partnership Team. I need people who will partner with me by praying. I need people who will share the work of RiverCross across their sphere of influence. And I need people who will financially partner with me. And though large gifts are great, I SO value the gifts of $10, $20, $30. And here’s why. If my team is built by MANY people who are monthly donating their Starbucks money, then that’s so many more people who are on the Team. Together we can do so much more than any one of us can do by ourself. I still hold double rainbow hope for Katya, for us, and for the most vulnerable children in the world. How about you? What Happened to God’s Purpose for Your Life? At some point you had purpose. Good purpose. Purpose you sensed was from God. God spoke to you through the Word. In prayer, your heart was stirred for a cause that you know is on God’s heart. You see the need and you see how you could truly make a difference. You anticipate that co-laboring with Christ in this cause would bring you deep satisfaction. But, that day is long gone. You’ve stalled out. And you’ve lost your purpose. I’ve got a word for you, three words really, that may be hard to hear. The Israelites had purpose. By decree of the king they were to return to Jerusalem to rebuild the Lord’s House. Threats from the outside stalled the work. But the bigger threat was internal. Rather than simply taking care of their basic needs they pursued a comfortable life. Pursuit of a comfortable life kept them from their purpose. In grace, God orchestrated circumstances to get their attention. And in grace, God sent a prophet to remind them of their purpose. These Israelites listened to God. They recommitted themselves. They got the glorious promise of God’s presence with them. And they got back to work. We each have work to do. Good work. Important work. Let’s don’t let a pursuit of a comfortable life get in the way. Talk to Ezra. For 15 years his adversaries shut down his work. Think about that. What has happened in your life in the past 15 years? Gone from being a young mom surrounded by “littles” to being a mom of many teenagers. Added three countries to my passport, including Ukraine, the home country of our youngest daughter. Weathered a church split, church closure, and a rapid departure from a church we loved, but realized that there was no longer vision alignment. Transitioned from homeschooling mom to working mom. And logged numerous trips to the ER causing me to want to install a zipline straight from our house to the nearest Urgent Care. What has happened in your life in the past 15 years? God gave a clear directive to Ezra. He used Cyrus, the king of Persia, to mobilize the Israelites. Ezra, Nehemiah, and Co. were to head back to Jerusalem, basically with a royal blank check, and rebuild the temple. But when the adversaries couldn’t Trojan Horse their way in, they went for a frontal attack. The result? 15 years of apparent stagnation. Ezra, Nehemiah, and Co. knew they were doing the right thing, the right way, with the right heart. And still God allowed the adversary to throw a wrench in the plans. Much happens in 15 years. Babies grow up. Friendships change. We switch jobs, move, and face more challenges than we would ever have dreamed we could endure. My encouragement to you and to me this morning is simply this. Stay the course. Stay close to God. Stay in his Word. Cultivate relationships that point you to him. Take care of yourself. Love well. Take just the next step remembering that most often God gives us as footlamp, not a floodlight. Much happens in 15 years. Stay the course. 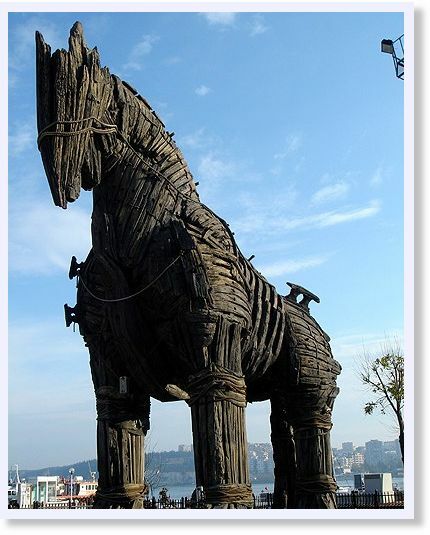 When the need is great, we may be tempted to welcome a Trojan Horse to our team. This happened with Ezra back in the day. God had stirred the heart of Cyrus to allow the exiles to return to Jerusalem and rebuild the temple. All in all, about 50,000 people headed home loaded with silver, gold, and all the holy items that had been taken when Jerusalem fell. The work was hard. And it took a long time. Two years, actually, just to get the foundation laid. At this point, a Trojan Horse entered the scene. It’s one thing for help to come from unlikely sources. But it’s another for your adversaries to dress up like friends and ask to be on your team. These adversaries had not had a change of heart. They wanted in. Just like a Trojan Horse. But the leaders weren’t fooled. Their Trojan Horse plan didn’t work. But these adversaries did stir up trouble. Eventually they stirred up so much trouble, that the work stopped … For 15 years. By refusing the help of Trojan Horse, these leaders avoided the treachery of an unidentified adversary in their midst. However, they had 15 years of waiting. Finally, the day came when the temple was built. Almost exactly 70 years after the destruction of the first. While they never would have chosen this delay, God used it to fulfill the promise he had given Jeremiah. How great is that? When the work is hard and it takes longer than we’d ever imagine, are you tempted to welcome the help of a Trojan Horse? But I really think that some of the most significant ministry I experienced was at my RiverCross table. My daughter, Adelyn, joined me for the day to help man the table. Coming around the corner after one of my breakouts, I paused before I got to my table. Adelyn was in a pretty deep conversation. A dear woman had stopped to find out about RiverCross. And as Adelyn explained about the world’s most vulnerable children and the trauma they have experienced, this woman began to open up and tell my daughter about her trauma. And I’m finding this all over the place. Our focus with RiverCross is on the world’s most vulnerable children. But as we talk about the sexual exploitation so many have experienced and the abuse that they have endured, a platform is created for others, like this dear woman, to talk about their trauma and begin their own process of healing. Although our focus is on the world’s most vulnerable children, God is using RiverCross to bring healing and hope to many more. She is my firstborn. She came into the world in a snowstorm. And since then she hasn’t stopped. In 2004, we were gathered for family devotions. Our church was preparing for a short-term trip to Columbia, SA and we were talking about the trip. Before we prayed, Sara Maria said to me, “Mom, can I really ask God for anything? Immediately I knew God’s answer. And it wasn’t “Yes.” But I was wrong. That trip was right in line with what God was already doing in Sara Maria’s life, and what he continues to do. She’s all grown up and married now. With a fabulous friends that I have come to know and love. A beautiful musician with a desire to see God use music to open up the hearts of children and give them hope. Bold courage. This daughter of mine. Happy 22nd! I love you! This weekend, nearly 300 women will gather in a small town in NC to learn what it means to make a difference. I’m speaking at a pre-conference tonight, leading two break-out sessions at the conference, and participating in a panel discussion. I’ll also have a table set up for RiverCross. I’m so excited to see what God is going to do this weekend. But, I’m feeling a bit more than a giddy kind of excitement. I’m feeling expectancy. I’m expecting that women will be mobilized to make a difference. Line up for HIS purposes. And I get to be part of this. I feel the weightiness. Would you pray for the women? For all the speakers and breakout leaders? And would you pray for me? Join Me in Being an Alongside Mom? So, I’m trying a new strategy with my kids and it’s kind of freeing for us all. …complaining about this, whining about that, blaming everybody else for everything … my tendency is to go head-on and address their attitude. But, time and time again, this causes their frustration to turn on me like the eye of Sauron. So, instead of being the head-on mom, I’m learning to be the Alongside Mom. “Mom it was more horrible than you can ever imagine.” And then they keep telling me what made it so rotten … the teacher that doesn’t “get” him, the friend who left her sitting by herself, the test that they failed. 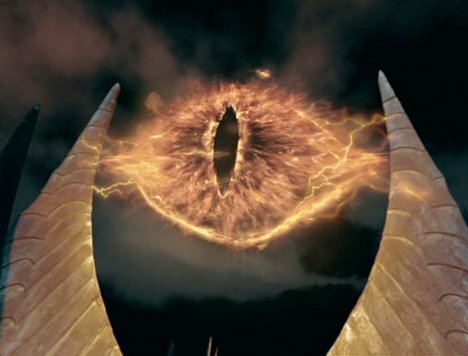 No more eye of Sauron. No more head-on mom. I’m the Alongside Mom. Does their attitude need to be addressed? Sure. Was their pretty rotten day worthy of this over-the top whining? No way. Is everyone else to blame for their Alexander day? Absolutely not. But right there in the car after a pretty terrible day, just being an Alongside Mom is pretty freeing for them and for me. We can get to the attitude, and to the blame game, and to the procrastination, and whatever else they did when the rottenness of the day has been tempered by a little bit of empathy, and probably some chips and salsa. Want to join me in being an Alongside Mom?